Welcome to the Next Generation of Video Entertainment. Welcome to VidLink® by OptiLink® - an innovative, exciting video entertainment platform that’s going to make watching TV more fun, flexible and easy for you and your entire family. Think of how your TV, video, and streaming could change if you were free to enjoy it when, where and how YOU like it. You can have it. VidLink customers have the freedom to watch all their viewing choices with one simple app. And that’s not the only freedom you’ll have – With VidLink you can access the widest array of content on the market, including your favorite live, recorded and on-demand shows, movies and sports just by downloading the VidLink app on your TV, using your favorite device and supported iOS smartphones. PLUS, you don’t have to be tied down with a set-top box, it’s your call. And you don’t need to wait for the cable company to come to you. Freedom and Flexibility – Watch your live favorite video entertainment from any device at home and view your recorded content from any device, even when traveling. Are you already subscribed to a streaming service? From voice search to featured content, you’ll start to see your content, regardless of what service it comes from, in one place. Live and Local TV – Enjoy ALL your favorite and local broadcast shows from one simple device – no switching back and forth between apps. Personalization - Up to 5 users can have their own personalized and intuitive channel listing (and remember, there’s no requirement for those ugly set-top boxes on each TV). Voice Search - For most of the ways that you can watch VidLink on your TV, you’ll have voice search and navigation built right into your remote. You can also use Amazon Alexa with this feature! 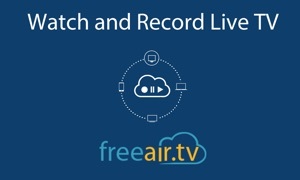 Cloud DVR – Record your favorite shows and playback from any TV in the home. And since your shows are stored in the “cloud” you never have to worry about losing them again. On the go Viewing – not at home but want to watch a favorite show? No worries – catch your recorded program anywhere, even when traveling.